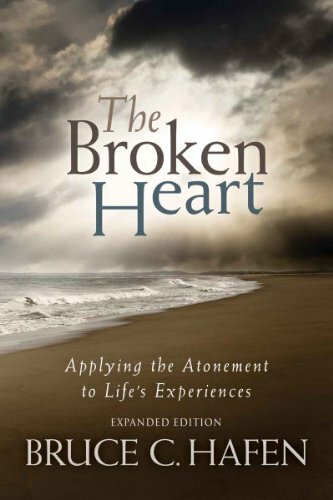 Inside: When your heart is broken, you may wonder if Jesus cares? The best person to heal a broken heart is Jesus. He can help you overcome your pain! When was your heart broken? Maybe it was years ago, maybe it was just this week. It really hurts when our hearts are broken, doesn’t it? Even though no one can see it, the pain is great and the wound is bleeding. If our heart broke once, it would be bad enough. However, in this life, our hearts can be broken again and again. Sometimes it would be just a knick to the heart, where we apply some Band-Aids and the pain leaves quickly. Other times it will be a clear-cut slice right through, the Band-Aids can’t even cover it, so we grieve and perhaps need to seek therapy. This heartbreak takes days and weeks to heal. A few of us have wounds that never really heal; a scab might form but the tenderness remains. Sore and wounded we carry on, but the healing doesn’t come. Or at least, our heart doesn’t feel strong and healed. When life throws us circumstances that wound our hearts, we might believe that if we aren’t healed, God doesn’t love us. Isn’t this what we think? God, why did you let this happen? Why don’t you make this pain go away, I’ve been asking you to? 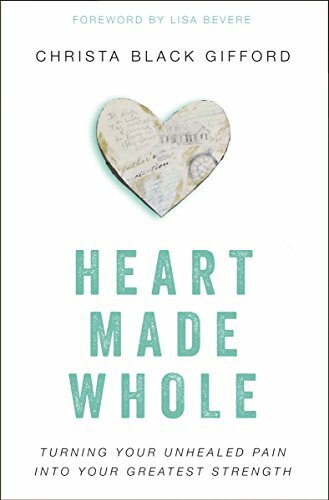 Our default thinking is: My heart is hurt… and God is the creator, so He can heal me and return my heart whole. When He doesn’t, we find things to speed up the process, but it ultimately interferes with God’s healing process. Or we search for things to make the pain less great. In the meantime, we lose our faith and trust in God. We set up boundaries with God and only involve Him in certain areas of our lives, but keep Him out of the areas that cause us to remember our pain. What we need to remember is: He is mending our hearts. Our expectations of relieving pain might look like a surgery– where we go in asleep and come out fixed (with pain from the procedure) but the original pain is removed. This type of surgery and the recovery is relatively quick in our fast-paced culture. God’s heart surgery takes time and patience. He fixes more than just the original pain and He works in other areas related. Clean the wound if we neglect this part it might become infected. Scab forms and then we can remove the bandage. Don’t pick the scab or it won’t heal as fast. The wound continues to heal and we’re careful not to re-injure the site. Seek God and ask Him to forgive us or remove our anger. Find encouragement from our Christian friends. Put up boundaries so we don’t re-injure our wound, meaning stay away from what hurt us if we can. Focus our thoughts on God and good things. Not rush the process, or interrupt it either. His healing might not be how we expect it. God is Jehovah Rapha and He will heal us in His own way and fashion. Thank you for being there for me. I am in pain, and my heart is wounded. I need your help getting through this. You are the Great Physician, and you can heal me. Please forgive me for my part in this pain and help me forgive the person who hurt me. Help me work through this pain, guide me to set up boundaries and focus my thoughts on you. Give me patience to walk through this process, not rushing it but trusting in you and your way of healing! A very inspirational message. Yes, God may heal our hurts in this earthly life or His healing may come when we are with Him. We can be comforted by His love. Melissa- the key point is He will heal us! 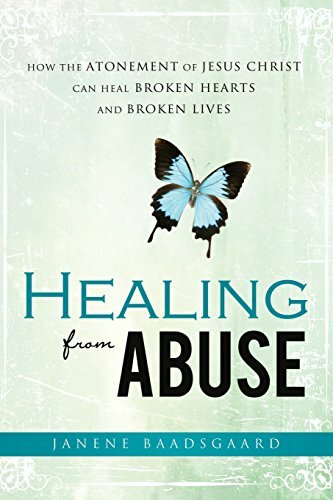 So thankful for His promise of “binding up the broken hearted” Life, relationships can be so hard…I have been both hurt and hurtful – part of what’s exciting to me about Heaven is we are all healed and perfect relationship is possible. Thank you for a relevant post – well done! Liz- thank you! That is super exciting about Heaven! 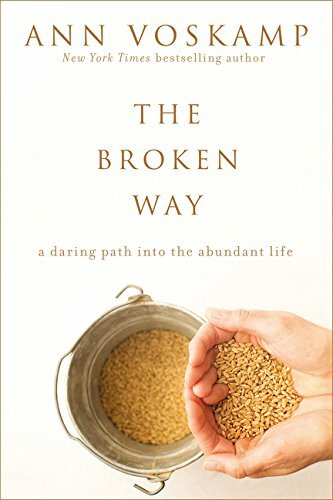 Julie, as you write, God is the Great Physician who has the power to heal and transform us as we walk through seasons or times of suffering. It is through trusting God, relying on his protection and provision and actively participating in the process of healthy grieving we can be confident we come through the suffering. God’s grace and love and compassion are healing balms for the weary, broken, the suffering. Anne- yes, it’s so beautiful to see what He can do when we allow Him all access! After dealing with some hurt in my life, what I came to realize is time doesn’t heal all wounds. As you said, some hurts leave scars and tenderness behind. I can vouch for that. I didn’t heal until I let God heal me. It took a long time of working through why I was hurt and then setting up the proper boundaries. God was gracious and gave me the strength I needed to heal. Chip- thank you for sharing your experience! All of us endure hurt of some kind, and we need to remember Jesus is there with us in the midst of the hurt, even if He won’t heal it immediately. Linda- it’s part of the human condition and we can come through with Jesus!